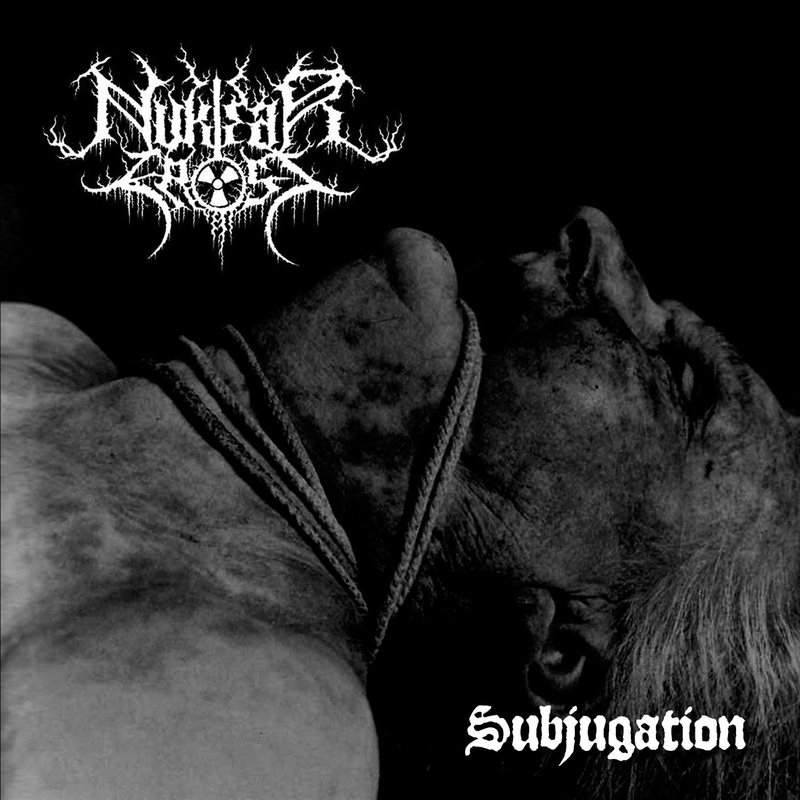 I have been really craving for some black metal today and because I picked up Subjugation, the debut album by Nuklear Frost, I believe it is time for a review. The three-headed band from Minnesota found in 2004 did the trick for me. The opening song is absolutely brutal, Uranium Censer definitely sets the tone of the album. The changes between destruction and the calm before the storm in Theist Holocaust gives you the feeling the second part is twice as powerful as before and it succeeds in doing this sublimely. Vortex of Horror is probably my favorite of the bunch. The power that it produces is both amazing and haunting. After that Charnal Ditch starts with hymns paired with gunshots, a truly powerful intro I must say. It stays powerful with the following guitar intro and the added drums building up to a powerful whole. Become Death is an amazing finisher, the added doom elements makes this into a solid black record. If you are a black metal fan, you should definitely look into this band. Subjugation is a good listen, it doesn't reinvent the genre, but it is a package of great black metal. It has enough for you to enjoy, so if that is your thing, check it out.